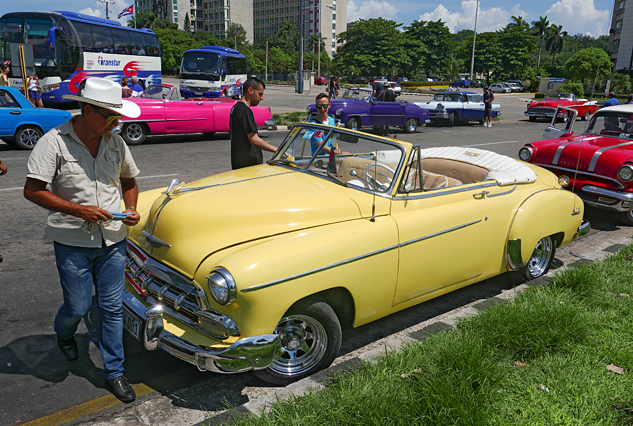 Just returned from a trip to Havana, Cuba, where I found the selection of vintage 1940’s – 1950’s American cars particularly fascinating. 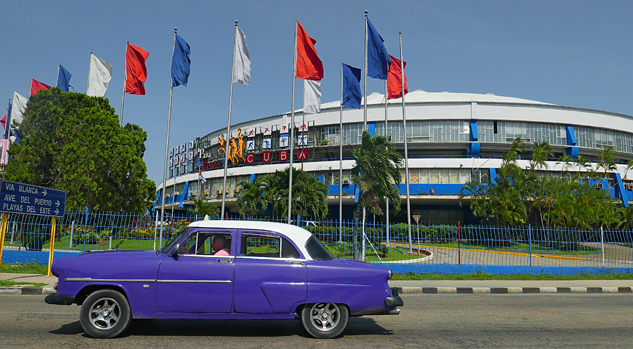 These are Batista-era cars abandoned in 1959 with the Castro overthrow. 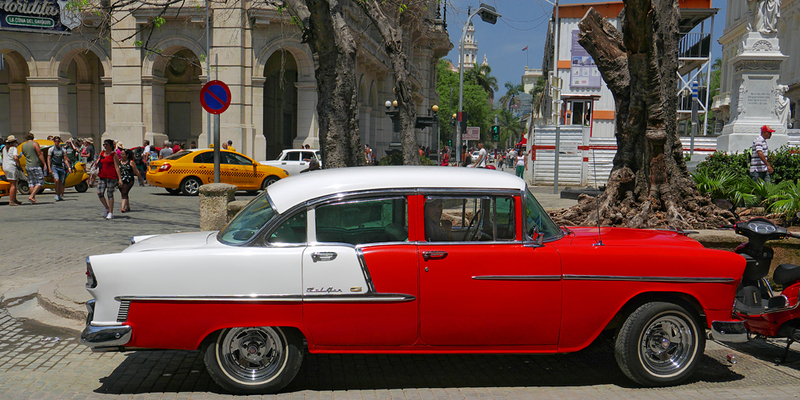 Almost all are taxis, since few private Cuban citizens can afford to own an automobile. None of these cars still have their original drivetrains—most of them have been retro-fitted with 1970’s – 80’s Toyota, Nissan, and Fiat engines and transmissions. 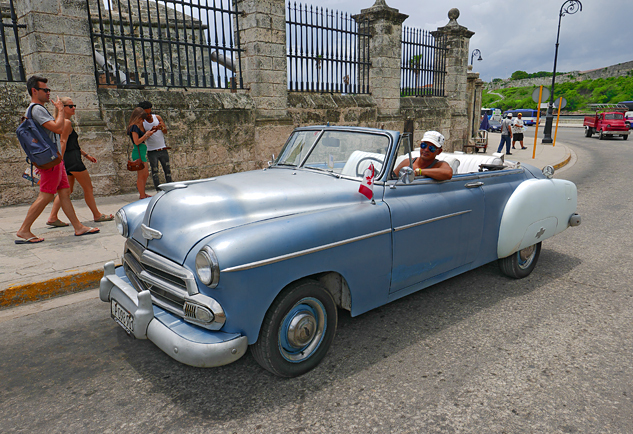 With limited access to parts, Cuban mechanics are famously ingenious at fabricating and machining in their backyards and carports. One taxi driver we rode with drove a 1952 Plymouth with a late-1970’s Fiat engine and transmission. It wasn’t very fast, but it ran reliably. 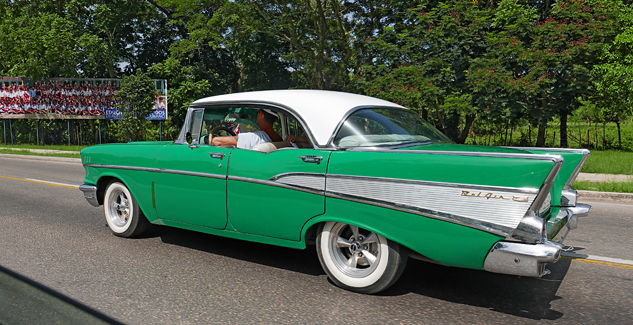 There are two classes of taxis in Cuba: state-run and privately-owned. 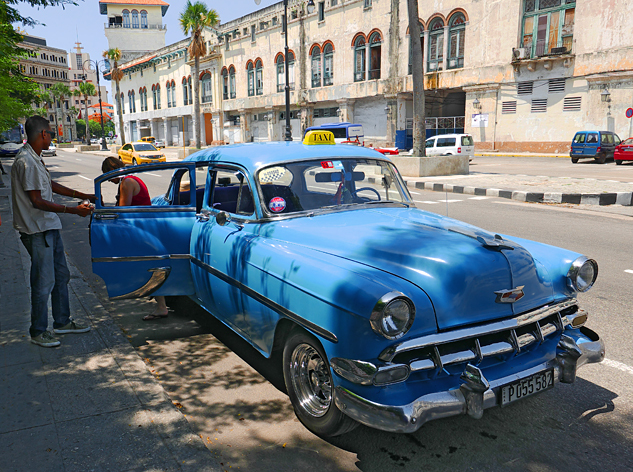 Most of the vintage taxis are private, but they pay a monthly licensing fee to the state. 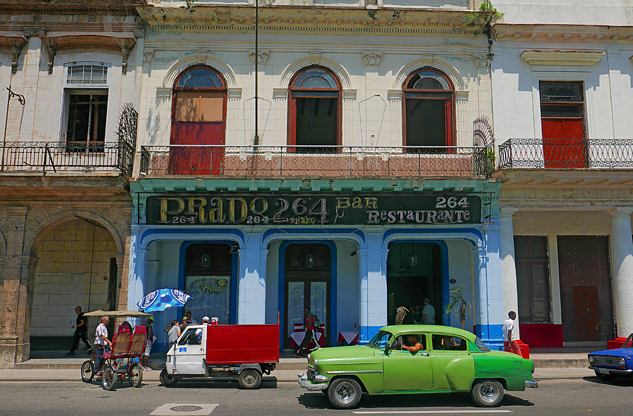 Our Plymouth taxi driver told us he pays $600 Cuban Pesos per month for his license, which is more than many private Cuban citizens make in a year. 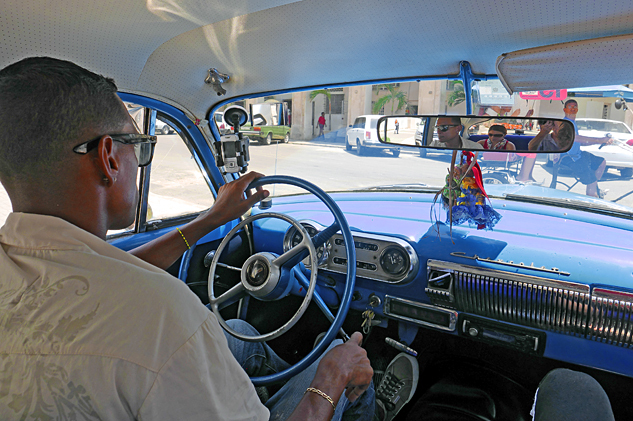 But, a hustling Cuban taxi driver makes triple the income of a typical doctor or university professor there.